Live concert performances from superstars and music sensations like The Head and The Heart don’t come around to town very often. 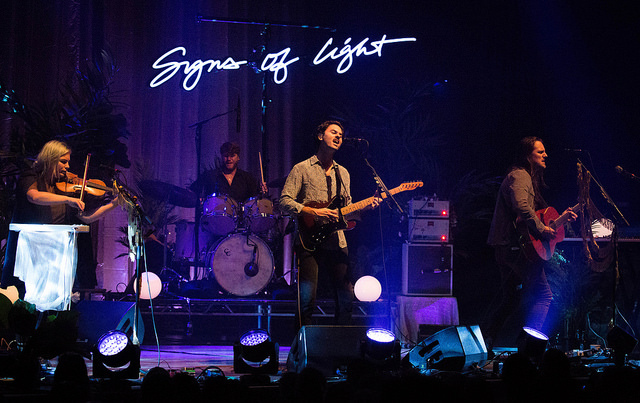 That’s why everyone in Cleveland Ohio is excited for the upcoming event by The Head and The Heart, the music sensation that’s sweeping the nation and you can only catch their amazing performance at Jacobs Pavilion at Nautica on Tuesday 10th September 2019. This limited-time showing brings one of the most exciting performers back to town for a rock-star appearance that will leave you starstruck and shouting for more. The raw talent, inspiring passion, and best talent of The Head and The Heart have won them new fans at every appearance and show. If you love music then you simply can’t afford to let this event go by. To order your tickets to see this best and amazing musical event, click the Buy Tickets button below. After that, all you have to do is come on down and enjoy the show. If you can only catch one concert show or event this September then many fans of the genre will tell you that any event hosted at Jacobs Pavilion at Nautica is the right call. That’s because Jacobs Pavilion at Nautica has a history of booking the supreme in local and national talent and concert stars to appear on their stage because they pride themselves on offering incredible entertainment experiences for their guests. The 5-star bartending staff will also make sure you stay refreshed with your choice of alcoholic or non-alcoholic beverages. Your evening will also be stylish and classy as you’ll be able to experience the elegant decor and atmosphere that’s designed to be perfect for close friends, coworkers, or loved ones. But let’s not forget about the easy access parking and the long list of second to none restaurants and bars that you can find on the same street and block. With all of these perks available at the click of a button, how can you afford to miss out? So if you can only catch one concert show this September then make sure to click the Buy Tickets button below so you can catch The Head and The Heart on Tuesday 10th September 2019 at Jacobs Pavilion at Nautica. Jacobs Pavilion at Nautica and The Head and The Heart hope to see you there.